I really don’t get into watching medical TV shows or really any other fictional media about doctoring. Number one, I get enough medical comedy and drama in real life. And number two, most of the time writers get the details wrong, forcing me to go ballistic from the comfort of my sofa. A prime example: A heavily pregnant first-time mom goes into labor on a plane! Someone steps up and within less than five minutes of contractions and a single push, said baby emerges and is miraculously clean, pink, non-pinchy looking and actually appears to be about 3 months old. It doesn’t work this way, people. Trust me. The fact that I’ve never seen “Grey’s Anatomy” is a source of personal pride. [Sidenote: I can’t even believe this show is still on. I thought it bit the dust years ago, but it turns out I was wrong]. 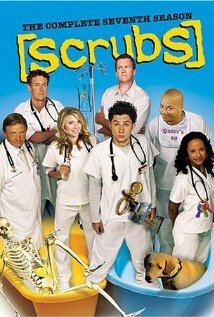 “Scrubs” came out when I was an intern, and man, could I relate to the awkwardness, horror and indignity of being at the bottom of the totem pole. The main characters weren’t OBGYNs, but there was an episode where Sarah Chalke was tempted to jump ship to the GYN ranks. 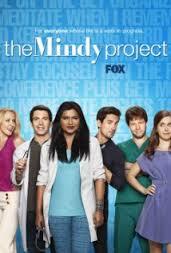 “The Mindy Project” is my current crush. Honestly, the fact that she’s also an OBGYN is almost superfluous. It’s really her perpetual ability to embarrass herself and her love of fashion that I relate to. “I admit it. I farted. I did it because I was scared. I was scared and it was wrong and we should talk about it. And I spilled red wine on your sofa cushion and then I turned it over. Then I wrapped it in blankets. I thought you’d just blame it on your maid. Who got into my brain for this material? I would so have this in my office, too. I watch Grey’s because it’s on Thursday nights and I can sit with a glass of wine. It wouldn’t have a chance for my time if it was on Tuesday nights instead. Love Mindy Project too. Cracks me up!